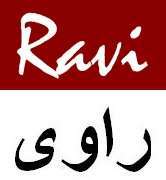 My good friend Fasi Zaka called me on the second day of Benazir Bhutto’s assassination, sounding extremely troubled by some insensitive comments against her that he had come across on certain ‘civil society’websites. unkind behaviour. Of course, not all of them are made of the matter that to me makes them seem and sound reactionary (as opposed to revolutionary), but as another friend of mine correctly put it, many of them are basically unwitting apologists for cringingly reactionary characters of all shapes and sizes, and thus anti-BB. The way the bulk of their supporters reacted to Bhutto’s ghastly assassination, it yet again proved how a majority of these people comes from the same well-to-do urban class that has always been at the forefront of various maneuvers designed to defame any party or personality able to successfully engage with the masses. The class I speak of is primarily, an intricately linked collective of urbanites belonging to the bourgeois and the petty-bourgeois segments. Historically and inherently it is understood that this is the class that should play a leading economic, social and political role in an evolutionary struggle against hegemonic strains like feudalism, despotism, and clergy-ism, like it did in Europe, especially during and after the French Revolution. However, since Pakistan came into being when the political disposition of the bourgeois in western societies had largely become conservative, the political character of the Pakistani bourgeois and the petty-bourgeois emerged as being politically conservative right from the beginning. In the first 20 years it allied itself with a soft strain of conservatism, until in 1972 when Zulfikar Ali Bhutto’s Pakistan Peoples Party came into power. It was then that the soft conservatism of this class became drastically reactionary, especially when the Bhutto regime started initiating its various populist policies, consequentially giving an unprecedented momentum to the rapid emergence of a working class and the rural peasant class as lively political forces. As the political representatives of the urban bourgeois battled Bhutto’s populist economic and political enforcements, the bourgeois and the petty-bourgeois became ready instruments in carrying out their social propaganda against Bhutto. It was this class that first started to dramatically decry his liking for whisky, women and his ‘lack of religion.’Of course, many from within this class were equally educated and modern, but they are known to have backed General Ziaul-Haq’s obscurantist onslaught against Bhutto-ism long after the popular leader had been toppled in a military coup in July 1977. It was this class that was again seen actively attacking Benazir Bhutto throughout her two stints as PM. 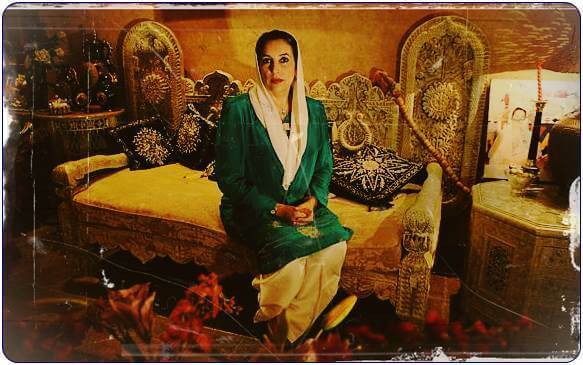 Various industrialists were known to have bankrolled skewed hate campaigns in newspapers through advertisements, questioning not only the political, but also the personal character of Benazir Bhutto. History had taught them how reactionary propaganda aimed at the exaggerated ‘immoralities’of Z A Bhutto had played an important role in galvanising the 1976 anti-Bhutto movement, therefore throughout the ’90s as well, this class was largely involved in giving momentum to all kinds of slanderous propaganda against Benazir and her husband, Asif Ali Zardari. This is not to suggest that the couple were angels, and neither was Z A Bhutto. But the hate campaigns’ idea was always to distract members of the bourgeois from undertaking any constructive political debate on the matter and instead make them indulge more in pure political gossip. As I heard Zaka painstakingly tell me about the kind of statements coming from young people on certain websites, I could only imagine them as being the off-springs of the viciously intransigent anti-Bhutto mentality that was first cultivated in large sections of the bourgeois and the petty-bourgeois in the ’70s. These kids did not grow up learning about the many fascinating complexities of politics. Instead, they grew up on sheer political gossip, mistaking it for politics and ideology. But the bottomline is, just as Z A Bhutto’s sweeping electoral victory in West Pakistan in 1970 had gripped the bourgeois with unprecedented dread and eventual reaction, the sight of millions of common people coming out to greet Beanzir on her return from exile on October 18, 2007, left the majority of the urban bourgeois reeling under a mix of fear, disdain and confusion. Just as their elders had done many years ago, their reaction against the Bhuttos and the People’s Party was again laden with reactionary sarcasm, hate statements and at times scary psychosomatic gibberish. There were many who even went to the extent of accusing Bhutto to have orchestrated the suicide attacks herself that took place in that rally. Unfortunately, as far as the mass-level politics of populism is concerned, the archetypal Pakistani bourgeois is always tempted to go into denial and start suffering from a collapsing form of myopia. So much so that even when PML (N) upon its recent comeback proved itself to be a more mature party than before, the younger cadres of the class whom the party represented in the ’90s, turned towards leaders who still represent politics based on a myopic sense of denial and a disdain for populist politics of the PPP and now also the PML (N). The reason is simple. Populist, mass-oriented politics can effectively cancel out the two most prominent anti-populist strains in Pakistan i.e. the politico-religious and the elite-bourgeois. Obviously, the masses do not share that view.